Buying shares is one of the best ways to boost your asset building method. To add to the ease, share trading has long become a part of the digital world. With the emergence of online trading, buying shares and adding them to your portfolio just happens at the click of a mouse. Maintaining physical certificates for each share is a thing of the past. Today you can maintain shares in electronic form in your dematerialised account, popularly known as Demat account. Demat stands for dematerialization. A single Demat account can be used by an investor for multiple security transactions. While online trading account enables you to buy and sell the shares, the Demat account is instrumental in holding those securities. Also there is no compulsion of maintaining a specified minimum number of securities in the Demat account i.e. it can be ZERO balance account. Dematerialization is the process of converting physical financial instruments such as share certificates, mutual fund investments, and bonds into electronic form. 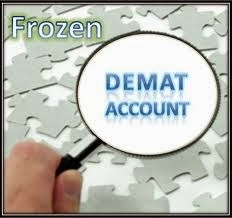 A Demat account is similar to a bank account. When you receive your bank statement, you will see 2 columns – deposits and withdrawals of money and balance money in the account on the last day of the statement. Changes in personal details viz communication address and bank account number etc will apply to all the securities held and need not be done separately.. Select a broker , bank or any financial intermediary who is a DP (Depository Participant) i.e. one registered with the National Securities Depository Ltd. (NSDL) and the Central Depository Services Ltd. (CSDL). Transfer and settlements of shares: If you are selling securities, you have to provide a delivery instruction slip; if you have purchased securities, a receipt instruction slip or one time standing instruction for credit has to be provided. Benefits of corporate actions: Non-cash corporate entitlements like bonus and rights issue can be directly credited to the Demat account. Dematerialisation and rematerialisation of shares: You can convert your physical securities into electronic form or vice-versa through the Demat account. For dematerialisation, you need to provide the physical share certificates along with a Dematerialisation Request Form (DRF) for each scrip as permitted by NSDL. Pledging for loan: You can also opt to avail of loan against shares by pledging shares held in your demat account. However, these accounts are subject to the following charges like Annual Maintenance Charge levied on a fixed basis, Demat and Remat Charges, Debit Transactions based on the value of the transaction, Failed / Rejected Instruction and Pledge Charge/Invocation charges based on the value of securities. With everything taking place in the virtual world, Demat account enables you to trade in shares in a safe and secure way with no risk of forgery, theft, misuse or destruction and you can also access the details of your account online anywhere anytime.